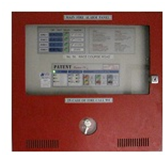 Fire alarm systems detect and provide early warning of emerging fires. 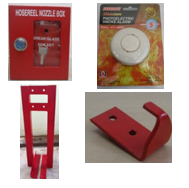 Ranger Fire Systems supplies and installs fire alarm panels, manual call points, fire alarm bells, including smoke detectors and heat detectors. We also supply battery-operated smoke detectors which are ideal for protecting your homes. Fire extinguishers are first line of defense against nascent fires. 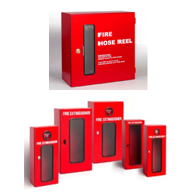 Ranger Fire Systems supplies and installs both stored-pressure and cartridge-type extinguishers containing dry powder, CO2 or foam for fighting different classes of fires. We also conduct training on the use of fire extinguishers to put out ‘live’ fires. Our 1Kg dry powder fire extinguishers are very popular with homes and car owners. Working with the fire alarm, fire sprinkler systems detect and fight fires. 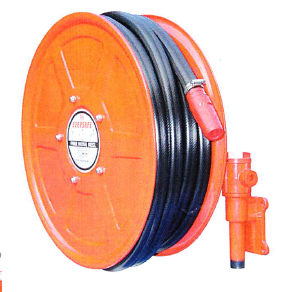 If you need to install new sprinklers, remove, relocate or reinstate existing sprinklers, you can count on Ranger Fire Systems.